Quantity and Size: Pack of 30pcs, Internal thread size: 1/4"-20, nut external diameter: 10.6mm, length: 25mm. If you have any questions about this product by LQ Industrial, contact us by completing and submitting the form below. If you are looking for a specif part number, please include it with your message. 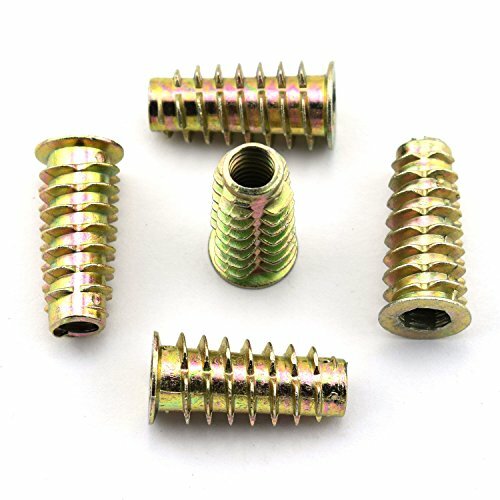 TV Non-Branded Items (Home Improvement) 48094 HILLMAN FASTENERS Lag Screw (15 Pack), 5/16 x 10"